Put our expertise to work for you. At Eric's Leading Edge, Inc., we are proud to share the latest news and press releases. "Eric’s Leading Edge, Inc. completes 15th King Air G1000 retrofit." St. George, Utah – September 22, 2014 – 15 is the magic number for retrofits. “Completing our 15th King Air G1000 retrofit, with an average 15 day down time, is pretty impressive.” says Mark McAuliffe of Eric’s Leading Edge, Inc. Systems have been installed for a variety of personal, corporate, and government customers. Having all the hard to find parts in stock helps aid in minimal downtime. “Everyone knows their job when a King Air rolls into the hangar. The amount of hard work and pride that has gone into every retrofit is amazing.” A small dedicated crew makes all this possible. “Eric’s Leading Edge is one of Garmin’s best kept secrets.” says Mike Young of Garmin International. Being the #1 G1000 retrofit installation center in the west , Eric's Leading Edge, Inc. has the know-how and experience to give you a no nonsense installation that you can enjoy for years to come. 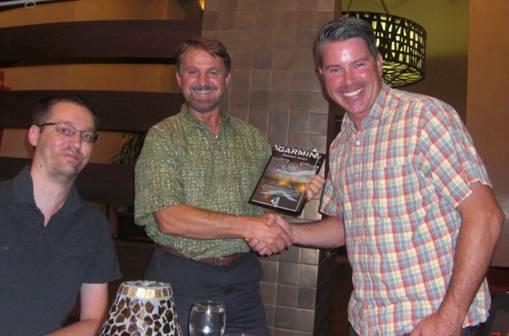 News for Eric's Leading Edge, Inc.
"Eric’s Leading Edge, Inc. receives 2013 Garmin Platinum Award"
St. George, Utah – July 17, 2014 – Impeccable customer service & technical knowledge leads the way for avionics sales. “We are very proud of our Garmin sales accomplishment in the small amount of time we have been a part of the distributor network.” says Mark McAuliffe of Eric’s Leading Edge, Inc. With back to back 2012 & 2013 Platinum Awards, Eric’s Leading Edge, Inc. shows that even a small organization can compete with the big shops. Recognizing customer needs and wants along with personal service and competitive pricing, sales tend to follow. “Word of mouth goes a long way in this business. If you treat people right, get the job done on time, and stay within budget without cutting corners; people tend to tell their friends & colleagues.” Most of the 2013 Garmin sales were derived from King Air G1000 upgrades. “This is an award held by a very special and elite group and I’m proud to say you are part of it.” says Mike Young of Garmin International. Sales for 2014 are picking up and are projected to match if not exceed those of 2013.